What Is Type 1 Diabetes (Juvenile)? Type 1 diabetes is a chronic condition that usually starts in childhood, but can occur in adults (30 to 40-year-olds). In type 1 diabetes, the pancreas produces very little insulin. Insulin helps cells in the body convert sugar into energy. 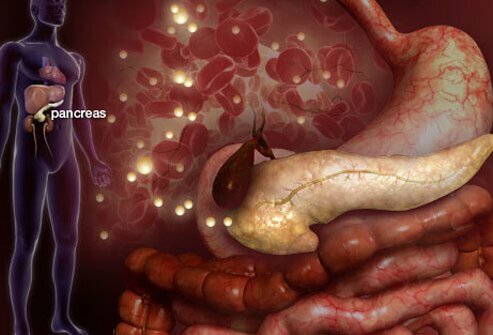 When the pancreas cannot make enough insulin, sugar starts to build up in the blood, causing life-threatening complications. Individuals with type 1 diabetes must take some form of insulin for the rest of their lives. Unusual thirst is a very common symptom of type 1 diabetes. This condition causes the kidneys to remove excess sugar in the blood by getting rid of more water. 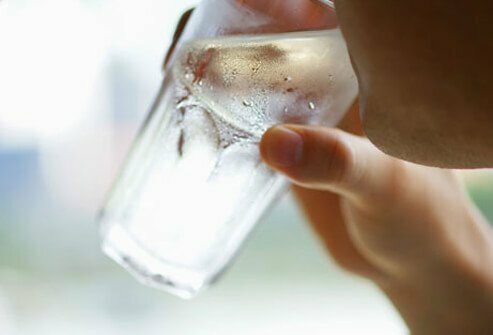 The water is removed through urinating, causing dehydration and dehydration causes you to drink more water. 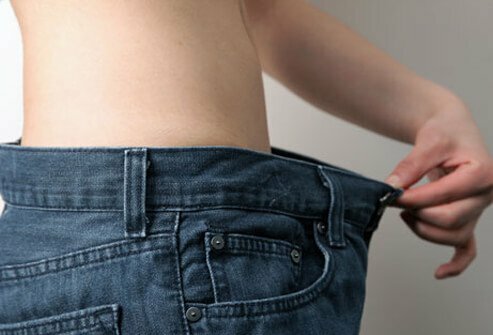 Patient with type 1 diabetes develop unintentional weight loss and an increase in appetite because blood sugar levels remain high and the body metabolizes fat for energy. Disrupted glucose metabolism also causes patient to feel a lack of energy and drowsy for extended periods Excess urination also cause weight loss because many calories are leaving the body in urine. 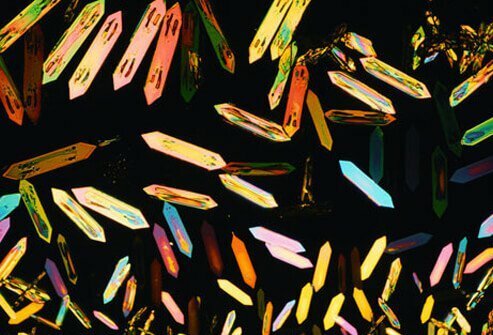 The disruption in glucose metabolism in patient with type 1 diabetes causes skin changes. Type 1 diabetics are at a higher risk for bacterial infections and fungal infections. Poor blood circulation in the skin may also occur. Patient with type 1 diabetes are often infected with fungal infections caused by the yeast Candida albicans. Common fungal infections include athlete's foot, vaginal yeast infection in women, jock itch, ringworm, and diaper rashes in babies. Diaper rash caused by the yeast Candida albicans can spread to other areas of the body such as the stomach and legs. Patient with untreated type 1 diabetes can experience serious symptoms such as blurry vision, numbness or tingling in the extremities (especially the feet), loss of consciousness, fatigue, fruity breath, dry mouth, and diabetic coma. In contrast to high sugars in the blood, occasionally patient with type 1 diabetes can get low blood sugars (hypoglycemia) when their blood glucose level falls suddenly. In patient with type 1 diabetes, loss of consciousness, diabetic coma, and in some cases hypoglycemia, are medical emergencies. Some people who are undiagnosed may have no warning signs, yet still can develop diabetic coma or hypoglycemia. Type 1 diabetes usually starts in childhood or young adulthood, whereas type 2 diabetes usually starts in adulthood. In patient with type 1 diabetes, the body's immune system attacks and destroys pancreatic cells (Beta cells) that produce insulin. In patient with type 2 diabetes, the pancreas is not attacked and usually produces insulin. However, patient with type 2 diabetes, for numerous reasons, cannot use the available insulin effectively. Patient with type 2 diabetes can have the same symptoms as patient with type 1 diabetes, but patient with type 1 diabetes usually have symptoms occur more rapidly. Type 1 diabetes cannot be prevented, but type 2 diabetes can be prevented or delayed with a healthy lifestyle. 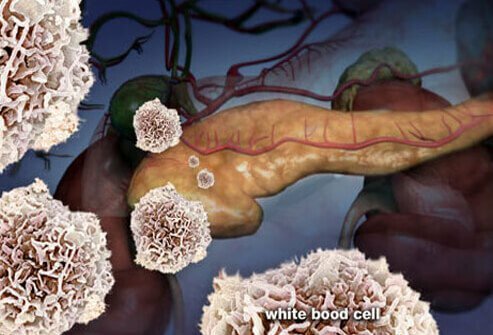 When the body’s immune system destroys beta cells in part of the pancreas, type 1 diabetes develops. Beta cells in the pancreas produce insulin. Researchers are not sure why a person's immune system attacks its own insulin producing cells. However, researchers and clinicians suspect that genetic susceptibility and environmental factors raise the risk for developing type 1 diabetes. 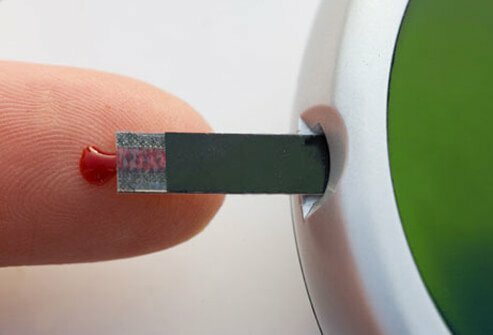 Scientists have identified genes and gene regions that raise the risk of developing type 1 diabetes, but they are not the only factors that cause the disease. 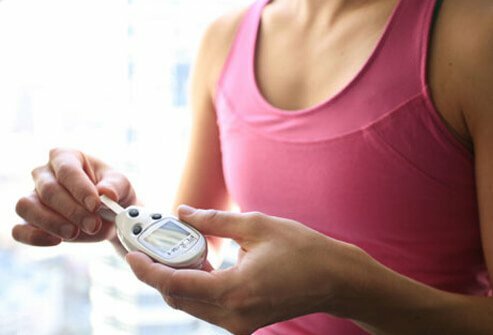 Researchers suggest that environmental triggers such as a viral infection or perhaps dietary or pregnancy-related factors may also play a role in developing type 1 diabetes. Although type 1 diabetes can develop at any age, about two-thirds of new cases are diagnosed in individuals under the age of 19. Researchers have noted two peak times for development of type 1 diabetes; the first is in early childhood and the second occurs at puberty. Type 1 diabetes affects males and females equally, and is more common in Caucasians than in other ethnic groups. A family history of type 1 diabetes also increases one’s risk for developing type 1 diabetes. Simple blood tests can indicate the presence of abnormal sugar levels in the blood. If a person has any symptoms of diabetes, a fasting blood sugar test or even a random blood sugar test is usually the first step in diagnosis. A hemoglobin A1c test can reveal average blood sugar levels for the past 2 to 3 months. In most cases these tests are repeated on at least two separate days. Other tests used are the glucose tolerance test or testing for specific antibodies in the blood. Type 1 diabetes damages arteries and makes them susceptible to hardening (atherosclerosis), which can lead to high blood pressure and other heart and circulation problems. Unfortunately, undiagnosed or prolonged high blood sugar levels can result in damage to organ systems in the body over time. 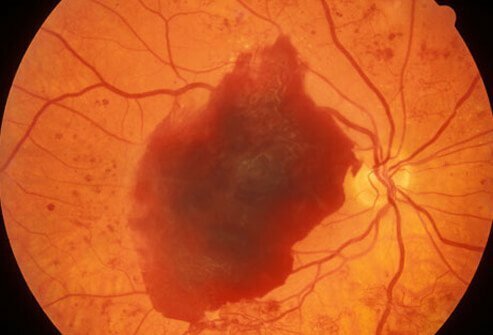 Patient with type 1 diabetes have a high risk of vision problems, heart disease, stroke, kidney failure, gum disease, tooth loss, and nerve damage (especially in the hands and feet). Other organs may also be damaged. For patient with diabetes, complications that can damage organs can be prevented or reduced by regulating their blood sugar level. This is done by pricking the finger and putting a drop of blood on a test strip. The strip is then placed in a monitor that reads the glucose level. 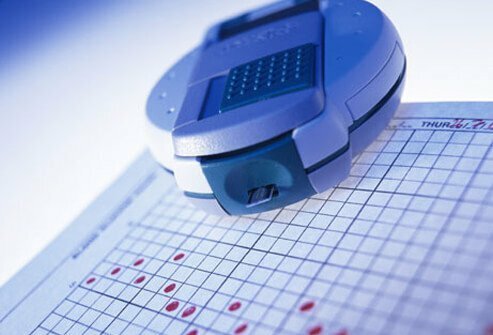 Close monitoring of glucose levels allows the individual to regulate their blood sugar by either medication if the sugar is high, or taking in sugar if the level is low. If a person with diabetes is able to keep blood sugar levels in or near the normal range, they will decrease the likelihood of developing complications and have more energy and fewer problems related to diabetes. Another device that measures glucose is termed a continuous glucose monitoring system (CGM). This system consists of a tiny sensor under the skin to check blood sugar levels. It send the information to a cell phone sized device that records an average glucose value every five minutes for about 72 hours. 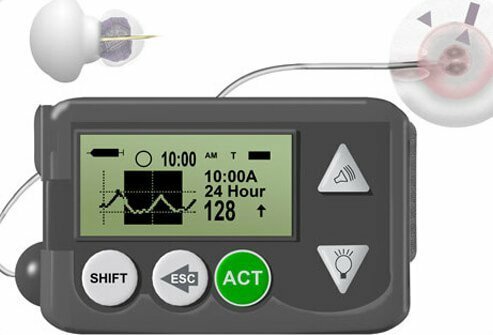 CGM is now accepted for long term use in some patients with models that turn off insulin infusion when sugars start to drop. Every person with type 1 diabetes needs to take insulin to help their body process sugar in the blood. Most people with type 1 diabetes take insulin in the injectable form and require several shots per day. There are different types of insulin available. Rapid-acting insulin starts to work within a few minutes and lasts for a couple of hours. Regular or short-acting insulin takes about 30 minutes to work and lasts 3-6 hours. Intermediate-acting insulin takes 2-4 hours to work and lasts up to 18 hours. Long-acting insulin can work for an entire day. You and your doctor can adjust your insulin shots based on results of blood sugar testing. As previously stated, the goal is to keep glucose levels in the blood within normal range as often as possible. Insulin can be injected using a needle and syringe, a cartridge system, or a pre-filled pen system. Inhaled insulin, insulin pumps, and a quick-acting insulin device can also be used. 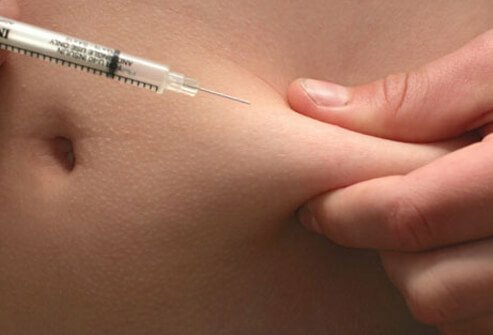 If injecting insulin into your body the best place is the abdomen, but the arms, thighs, and buttocks are also effective. Insulin is a hormone from the pancreas that allows sugar to enter the cells. Insulin also lowers the amount of sugar in the bloodstream. Without insulin, sugar is unable to enter the cells. This means that cells that make up muscles and other tissues will not be able to receive their main source of energy. Patient with type 1 diabetes will have a buildup of sugar in the bloodstream, causing life-threatening conditions. Although insulin is a wonderful drug that helps people with diabetes, it needs to be used carefully. If a person takes too much insulin it is possible the blood sugar level will lower into dangerous levels. This situation is termed an insulin reaction (low blood sugar due to excessive insulin). Too much insulin can result in symptoms that may be mild, moderate, or severe, depending on how low and how long the low blood sugar levels exist in a person's blood. 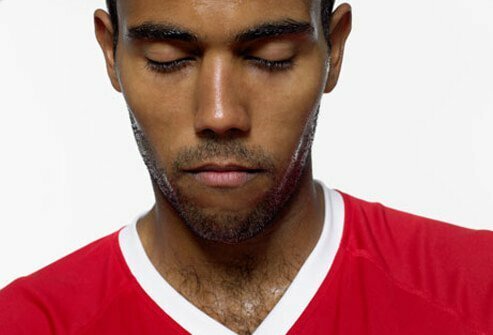 Some signs and symptoms of low blood sugar include fatigue, excessive yawning, mild confusion, decreased coordination, sweating, muscle twitching, and pale skin. As these symptoms get progressively worse, seizures, loss of consciousness, and even death may occur. People with diabetes, especially type 1 diabetes, are advised to carry about 15 grams of a quick-acting carbohydrate at all times. Quick-acting carbohydrates are foods or drinks containing glucose that is rapidly absorbed into the body and the blood. 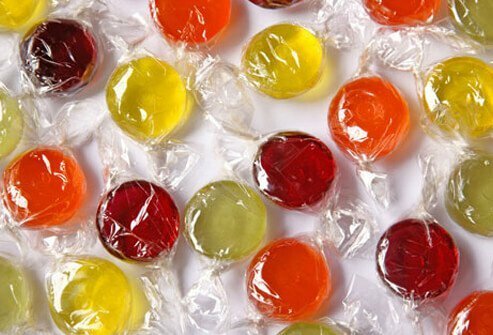 Examples include a half-cup of fruit juice or a non-diet soda, five Life Savers (small hard candies), two tablespoons of raisins, one cup of milk, or three glucose tablets. These carbohydrates may resolve mild to moderate insulin reactions. For severe reactions, a drug called glucagon should be injected under the skin by a family member or friend familiar with treating severe insulin reactions and the person should be seen by a medical health care professional. 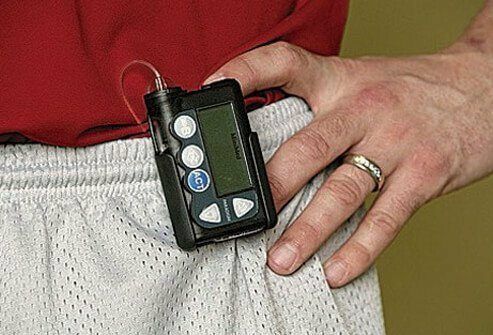 Although many people administer insulin through several shots per day, some people may be able to utilize an insulin pump. This pump delivers insulin around-the-clock by pushing insulin through a thin tube inserted into the person's skin. The insulin pump can be programmed to deliver exact amounts of insulin in a continuous dose as well as deliver extra doses certain times, typically when eating. People with diabetes are encouraged to discuss the advantages and disadvantages of this insulin delivery system with their doctor. 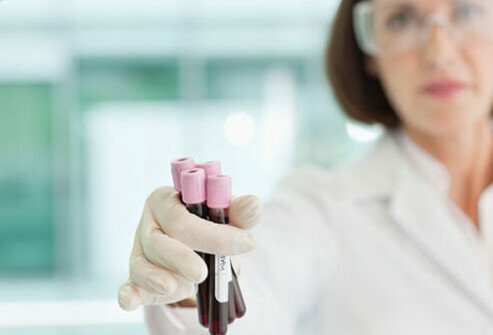 There is a test called the hemoglobin A1c blood test that is used to help determine how well a person is managing their blood glucose levels. This test is taken at the doctor's office and measures how well the blood sugar has been controlled over a 2 to 3 month span. If the results show poor blood sugar control (high A1c levels), it suggests that the person's insulin therapy, dietary habits, and/or physical activity be modified to lower blood sugar levels into a more normal range. Some people with diabetes fail insulin therapy and may have reactions to the insulin that is injected. These people may be candidates for a procedure that some clinicians consider experimental. The procedure is a transfer of healthy insulin-producing cells from a donor into the pancreas of the patient with type 1 diabetes. 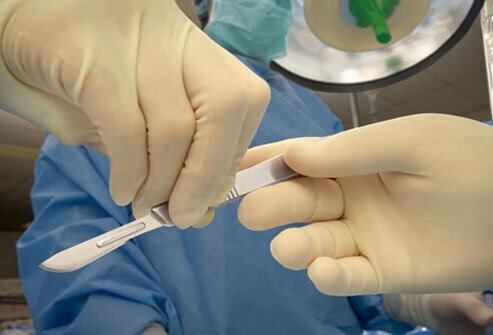 Although there are benefits to this procedure, there are also drawbacks including medications with serious side effects that must be used to prevent rejection of the donor cells, and the probability that the transplanted cells may only function for a few years. People with type 1 diabetes benefit from exercise, but they need to take precautions to prevent sudden drops in blood glucose levels. Diabetics should check their blood sugars before exercising and may require eating a snack before or during exercise. They may need to adjust their insulin dosage before exercising to ensure they stay within normal ranges of blood glucose. People with type 1 diabetes may also need to check their urine for ketones – ketones suggest that your blood sugar is too high. Strenuous activity needs to be avoided if ketones are detected or if your blood sugar level is either high or low before exercise. Healthcare workers such as dietitians can help people with diabetes plan a well-balanced and varied diet. Women with type 1 diabetes need to let their doctors know if they plan to become pregnant. Poor control of their blood sugars may cause complications such as birth defects. Planning ahead, even before conception, to control blood sugar levels can lower the risk of miscarriage and birth defects. During pregnancy, it is important to test blood glucose often and keep your A1c below 7%. Good blood sugar control can reduce other complications during pregnancy such as high blood pressure or retinal damage in the mother. Preeclampsia is a condition that 18%-30% of pregnant women with diabetes develop. 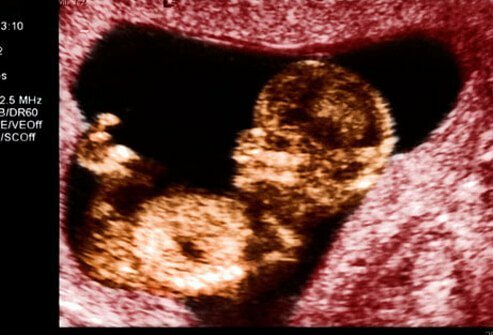 Preeclampsia develops after the 20-week mark and is characterized by high blood pressure and proteins in the urine. It is important to treat preeclampsia, if untreated it may harm the baby and put the mother at risk for stroke and seizures. Once the baby is born and if the mother is breastfeeding, it is important for her to check her glucose levels frequently. In the United States, 13,000 children are diagnosed with type 1 diabetes each year. Diagnosis of diabetes in children is a life-changing situation because it affects the whole family. 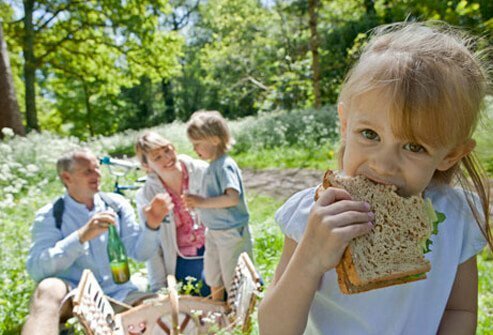 Parents must help children monitor blood sugar and plan family meals that are appropriate for the child with diabetes and other family members. Insulin dosages must be monitored and blood sugar levels need to be checked by the child’s caregivers. Diabetes in children is a 24-hour-a-day problem that needs to be considered when a child is attending school and participating in extracurricular activities. 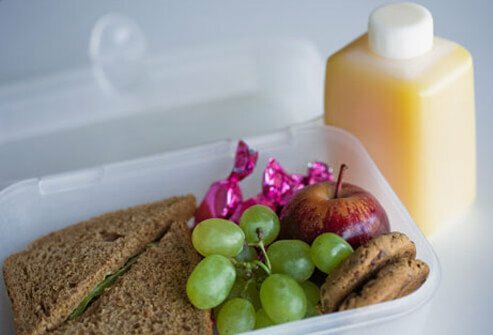 Parents and their children need to make arrangements to follow through with insulin treatments even while the child is at school. These arrangements need to be planned in advance, as not every state or school may participate in the child’s care the same way. 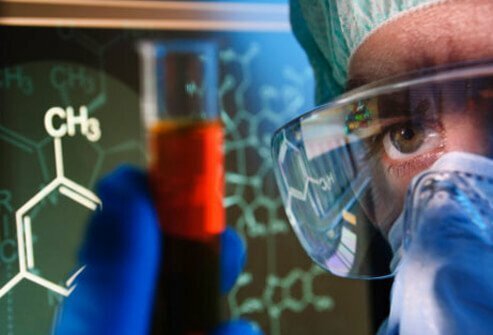 Researchers are attempting to develop an artificial pancreas. This device is a combination of an insulin pump and continuous glucose monitoring system controlled by a computer program. The goal for the system is to release insulin in response to blood sugar levels and to reduce the release of insulin if blood sugar levels drop. 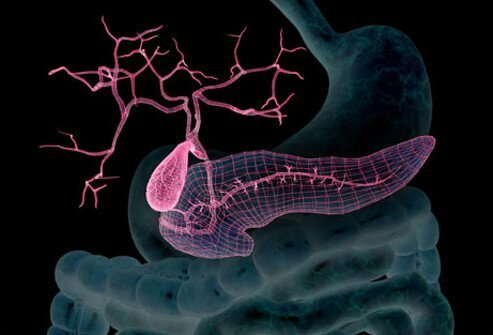 The goal is to have a device that mimics the function of a normal pancreas. Some early trials of experimental devices suggest this device may be available in the future. DiabetesForecast.org: "A Guide to Pregnancy With Diabetes"
Hormone.org: "What Does Insulin Do"
Medscape: "Type 1 Diabetes Mellitus"